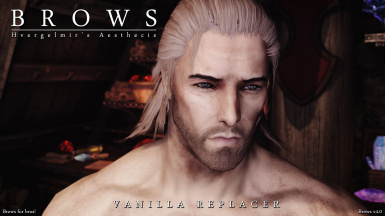 Saved using better optimization. 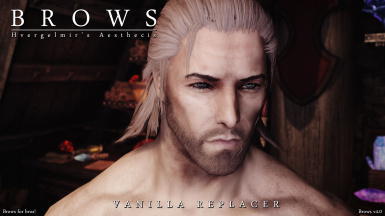 Now less artifacts in texture. Vanilla replacers now even closer in resemblance to their vanilla counterpart. 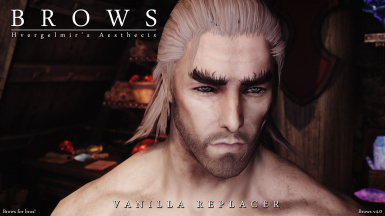 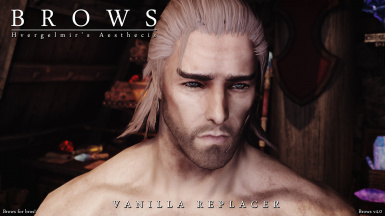 Minor changes to the alpha channels of existing vanilla brow replacing textures. Improved the existing add-on brow styles for both genders. Added additional add-on brow styles for both genders. File 'Brows - High Resolution' version changed to 3.1. File 'Brows - Standard Resolution' version changed to 3.1. File 'Brows - Uncompressed' version changed to 3.0. File 'Brows - Uncompressed' category changed to Old versions. 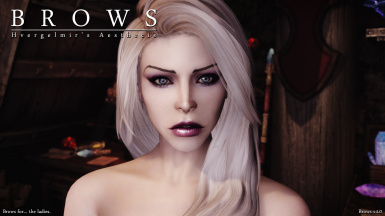 File 'Brows - Ningheim Addon' description changed. File 'Brows - Ningheim Addon' version changed to 2.0. File 'Brows - Ningheim Addon' category changed to Miscellaneous. File 'Brows - Standard Resolution' category changed to Old versions. File 'Brows - High Resolution' category changed to Old versions.